Demands on tax executives have never been higher. Whereas international tax rules have always been complex, the Organisation for Economic Co-operation and Development’s Base Erosion and Profit Shifting (BEPS) Action Plan and now U.S. tax reform introduce new levels of complexity and uncertainty. At the same time, sensational media coverage of tax disputes is on the rise, threatening multinationals’ reputations and ultimately their bottom line. It is thus critical for multinationals to be prepared to manage global tax disputes effectively. The following example illustrates various considerations for a multijurisdictional tax controversy. A U.S.-based multinational company operates through wholly owned subsidiaries across the globe. The U.S. parent (USP) has developed certain technology and trademarks that it is considering licensing to its subsidiaries in Country A and Country B (SubA and SubB, respectively). In addition, USP is considering charging its subsidiaries a management fee for certain services USP provides to the worldwide group. In light of these facts, USP commissions a transfer pricing study to assess the potential royalty and management fee. When planning a multijurisdictional transaction, taxpayers like USP should at the same time prepare for an audit from any involved jurisdiction. For example, it is important to thoroughly document the planning process—including all interviews, analyses, research, and reports. Failing to do so could place the company in a difficult position during an examination, because key individuals may be unavailable and records may no longer exist. Moreover, when information is gathered from employees, it is critical to distinguish between the legal structure and the business structure of the organization. Failing to appreciate the differences could easily result in a flawed analysis, creating significant problems down the road. Indeed, there are a number of ways that USP can be proactive when planning its transactions, including by: (i) identifying key employees across the organization that could be helpful for interviews, site tours, and responding to IDRs; (ii) anticipating common questions and organizing responsive documentation that can be provided consistently across jurisdictions without jeopardizing privilege protections,1 privacy laws, or trade secrets; and (iii) preparing an outline of legal issues and arguments that can be shared within the tax department to ensure a consistent international position. To be sure, it is critical to maintain a consistent narrative across jurisdictions now that governments worldwide have implemented the BEPS Action 13 documentation and information-sharing proposals, particularly country-by-country reporting of taxpayer information. Now let’s assume that USP’s transfer pricing study concludes that: (i) USP should be entitled to a five percent combined royalty for licensing its technology and trademarks, and (ii) USP should be compensated for its management services at cost plus a markup. Accordingly, USP and its subsidiaries implement the intercompany charges and report the results on their respective tax returns. Several years later the IRS audits the management fee and the royalty charge. The exam team believes that USP provides its subsidiaries with valuable intellectual property and management services that should be evaluated on an aggregated basis, and that the foreign subsidiaries should be treated as routine service providers for USP that are entitled only to a cost-plus return. Countries A and B begin auditing the royalty charge and management fee the following year. Country A believes that SubA owns the trademark in its jurisdiction and is considering reducing the royalty charge to two percent to allow only the purported technology portion. Country B takes the same position as Country A with respect to the royalty charge for SubB, suggesting cooperation among the tax authorities. In addition, Country B indicates that the management fee deducted by SubB should be fully disallowed, alleging that there is insufficient documentation. All three tax authorities have requested more information, including written responses, employee interviews, and site tours. Now that the audits are gaining momentum, it is imperative for USP to maintain a consistent position across jurisdictions, while at the same time incorporating helpful facts into the audit record. When providing written responses, USP should consider establishing a central review function that examines all responses before anything goes out the door. Moreover, USP should not provide best guesses or estimates without full disclosure and should avoid absolute statements regarding the availability of responsive data. For site tours and interviews, USP should consider using the same employees and presentations with each tax authority where practical to ensure a consistent message. At the same time, USP should establish reasonable ground rules in advance, including the number and length of interviews, the number of IRS participants, and the scope of any site tour. Now is also a good time for USP to consider hiring an expert. For one thing, the IRS continues to retain third-party experts and to assign IRS internal economists and international tax specialists in audits involving transfer pricing issues, budget cuts notwithstanding. To balance the scale, USP should consider retaining its own expert. Indeed, if USP has to accommodate witness interviews and site tours during the examination, it may be more cost-efficient to involve an expert now rather than engaging one later. Finally, USP should consider using an expert to identify the tax authorities’ positions and to stress-test its positions. Next, let’s assume USP did everything above, but the audits are still going nowhere. The IRS issues a notice of proposed adjustment (NOPA), and Country A and Country B have indicated that they will be issuing audit adjustments soon. What should USP do? Option A. Propose an advance pricing agreement? Option B. File a protest with IRS Appeals? Option C. Pursue competent authority assistance? Option D. Request a notice of deficiency and go straight to litigation? Each option has its pros and cons, so there is a lot to consider. Regardless of which option is selected, USP needs to balance consistency with effective advocacy. For example, challenging the proposed IRS adjustment in any forum could mean introducing facts that establish that USP’s intangibles and management services have limited value and are not the key value drivers of its subsidiaries’ businesses. How does USP present these facts in a manner that advocates USP’s position as effectively as possible without undermining its subsidiaries’ argument that they receive significant value from USP and therefore should pay the royalty charge and management fee? These are the types of issues that make multijurisdictional tax disputes especially tricky to manage, and even more challenging to resolve. One possible solution to resolve all three audits in the same forum would be to propose a multilateral advance pricing agreement (APA) with a rollback to cover the tax years at issue. Not only would an APA bring all tax authorities to the table to potentially resolve all issues so as to avoid double taxation, but there is also the potential to resolve the issues going forward for a number of years. In fact, APAs with rollbacks to years under examination have been used to successfully resolve outstanding tax issues for up to fifteen years. Finally, an APA also allows USP to keep its options open: USP can always reject the agreement and pursue other avenues to resolve the dispute. But there are potential drawbacks to pursuing an APA. For one thing, taxpayers must prepare and provide significant documentation and analyses to secure an APA. This could reveal new issues that otherwise would not have been exposed. Moreover, the process can become lengthy and rather expensive, though if successful an APA can result in long-term savings by preventing future disputes. In any case, there is no guarantee that the tax authorities will ever reach an agreement. Indeed, multilateral APAs can be particularly difficult to coordinate because three or more tax authorities need to agree to accept the request and to reach a substantive mutual agreement on the issues. And even if an agreement is reached, the APA might be canceled or a dispute could arise as to how the APA should be interpreted. Finally, if USP expects business operations to be restructured, it may not make sense to have an APA based on a given set of facts govern future tax years. Securing competent authority assistance through the Mutual Agreement Procedure (MAP) of tax treaties has the potential to become a more viable alternative with the implementation of the OECD BEPS project. In particular, BEPS Action 14 establishes a “minimum standard” of dispute resolution mechanisms implemented by more than 100 countries and jurisdictions, known as the Inclusive Framework. Notably, the minimum standard includes a number of peer-review-enforced elements intended to ensure the accessibility and effectiveness of the MAP process, including a commitment that MAP cases be resolved in an average period of two years or less. Indeed, there are a number of ways that USP can be proactive when planning its transactions. Competent authority assistance is often an attractive option for several reasons. First, audit teams are removed from the discussion, which can be especially helpful when dealing with uncooperative examiners. Second, all issues can be resolved in one forum so as to avoid double taxation, which can be relatively cost-efficient. Third, the process allows for flexibility: USP could reject the competent authority agreement and pursue other avenues, such as IRS Appeals or litigation. Fourth, some tax treaties (e.g., the United States’ treaties with Canada, Belgium, Germany, and France) provide for mandatory binding arbitration if the competent authorities fail to resolve the dispute within a specified timeframe—typically two years—thereby compelling tax authorities to take more reasonable positions and setting a deadline for concluding the dispute. There are also reasons not to pursue competent authority assistance. Taxpayers have a more limited role in the MAP process, as competent authority negotiations are country-to-country, which can be challenging when coordinating a resolution with multiple jurisdictions. Furthermore, competent authority assistance is not available for disputes involving countries that do not have a tax treaty with the United States. Even if there is a tax treaty, not every jurisdiction has an effective MAP, further complicating the resolution process and potentially creating significant delay (although this is expected to change for the better in light of BEPS Action 14). Finally, in MAP the OECD Transfer Pricing Guidelines will govern, which, depending on the facts or issue, could provide a more or less favorable framework for resolution than the Section 482 regulations that would govern in IRS Appeals or litigation. Litigation has its advantages and might be the only option. For one thing, taxpayers have been fairly successful in litigating transfer pricing disputes. And establishing favorable precedent for a potentially recurring issue may be the best long-term strategy. Moreover, when dealing with a particularly hostile exam team, rather than agreeing to extend the statute of limitations, it may be more cost-efficient to skip right to litigation, especially if there is a legal issue that can be resolved through a dispositive motion. Furthermore, litigation may be the only viable option in some jurisdictions that lack both effective administrative appeals procedures and a tax treaty with an effective MAP. That said, litigation certainly has its drawbacks. After all, litigation generally should be pursued as a last resort, because it can be a very expensive and public process. The latter concern can be particularly problematic in a multijurisdictional dispute; information filed with the court would become available to tax authorities in other countries, potentially damaging positions in those jurisdictions. 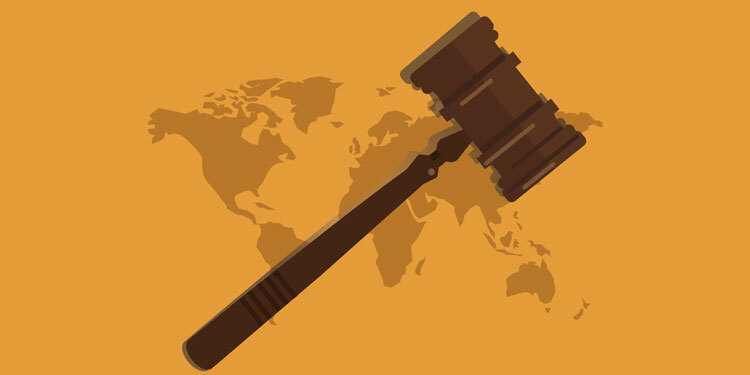 In sum, there are several factors when managing a multijurisdictional tax dispute that must be carefully examined to obtain a favorable outcome. U.S. tax reform presents several new considerations for USP. For example, assume the tax rates in Country A and Country B were twenty-five percent and twenty-seven percent, respectively, and the years under audit were pre-2018. In this scenario, any portion of the IRS adjustment that is ultimately upheld will only increase USP’s effective tax rate (ETR), even if full double tax relief is obtained, because the former U.S. corporate rate of thirty-five percent was the highest of the relevant jurisdictions. Similarly, the proposed tax adjustments from Country A and Country B conceivably present an opportunity for USP to lower its ETR, provided that full double tax relief can be obtained (an assumption that should not be taken for granted). So the conventional wisdom would be to vigorously oppose the IRS adjustment—whether through an APA, IRS Appeals, competent authority, or litigation—but possibly have more flexibility to settle with Country A or Country B, taking into account countervailing strategic and consistency considerations. But any resolution reached, in any forum, is likely to set at least a “soft precedent” for future years (and in the case of an APA, a binding tax result). This could be especially problematic, as the U.S. corporate rate will fall to twenty-one percent in 2018, materially less than the tax rates in Country A and Country B. Indeed, USP’s effective rate may be lower than twenty-one percent to the extent that some of its income qualifies for the effective 13.125 percent rate for foreign-derived intangible income. Thus, any strategy for resolving pre-2018 tax years should consider the long-term implications in light of U.S. tax reform. Joel Williamson is a partner in Mayer Brown’s Chicago office and co-leader of the tax controversy practice. Brian Kittle is a partner in Mayer Brown’s New York office and co-leader of the tax controversy practice. Jason Osborn is a tax controversy partner and John Horne is a tax controversy associate in Mayer Brown’s Washington, D.C., office. Privilege protections differ across jurisdictions. For example, communications with in-house counsel are generally protected in the United States, but may not be outside the United States. Thus, taxpayers should have appropriate safeguards in place when producing documents to prevent waiving privilege protections in other jurisdictions. See Treasury Inspector General for Tax Administration, Barriers Exist to Properly Evaluating Transfer Pricing Issues, September 28, 2016, available at www.treasury.gov/tigta/auditreports/2016reports/201630090fr.pdf. Revenue Procedure 2015-40 also allows taxpayers to request a “simultaneous appeals procedure” whereby the U.S. competent authority works jointly with IRS Appeals in developing the U.S. competent authority’s position. That position, however, is not binding on the competent authority, which retains jurisdiction over the case.